I washed my smelly shoes in the Travelodge sink and left them outside the room all night. No worries about anyone stealing them… They were somewhat betterin the morning and I bungied then on the back of the bike with apologies to anyone following me. The Travelodge had a free breakfast, basic stuff, but okay. Our route was pretty much north to Amanda Park and then west to the ocean, about 70 miles. We were all curious to find the back story on the first town along the way, Humptulips. The only apparent resident, the grocery/gas station attendant next to the post office, said it was a derivation of a native American word for hard poling or hard pushing, related to canoes and the river running through town. Okay, not as exciting or interesting as what we conjectured. We made the turn to the east at Amanda Park and stopped for lunch at the Internet Cafe. We had an extended lunch because Bob had two weeks of email to catch up on. No smart phone for him. He is one of two people I know in the world using a flip phone. The temperature was scorching hot by the time we started up again and it was 27 miles into the wind to Queets, the first town along the coast. 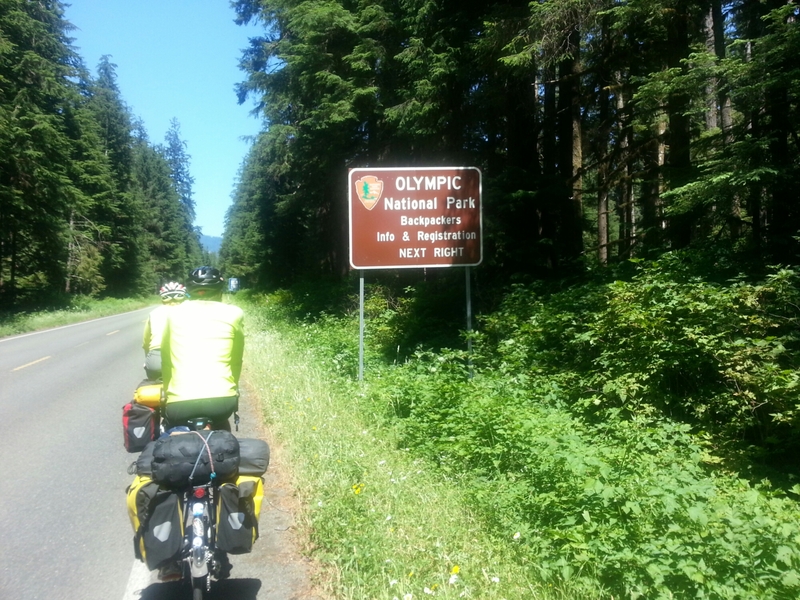 As we approached Queet, we entered the Olympic National Park. yay! We stopped briefly to fill our water bottles at a convenience store in Queet as we were told there was no potable water at the most likely camping location, South Beach. As we turned into the park, the host, Jack, was putting up the Full sign… We used every bit of charm to get him to allow us to squeeze in anywhere. Thank goodness. Dinner at the lodge a few miles down the road and time to watch the sunset on South Beach. Tomorrow, probably pass by Forks, and try to find camping further up the road. The closer to the holiday weekend, the harder it may get. I finally got caught up with your trip! 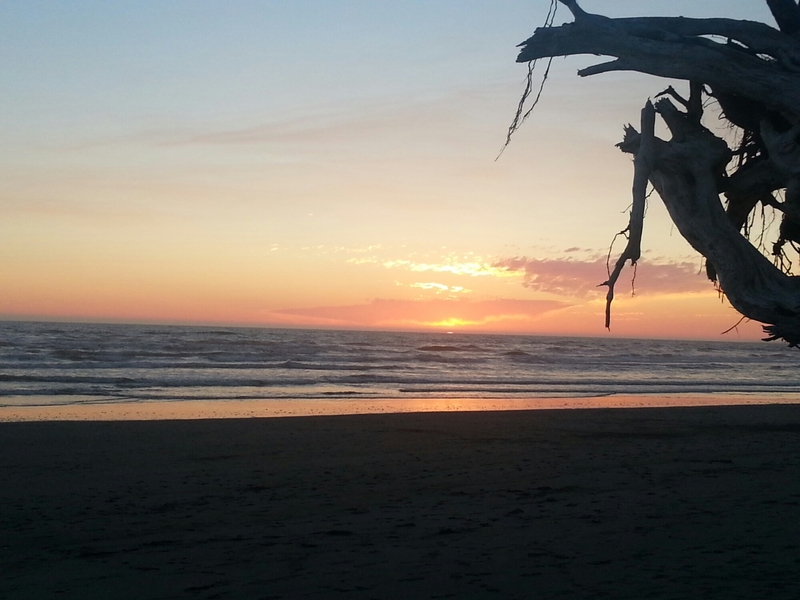 Looks great…love the pics and the daily updates! SOOOOO wonderful!